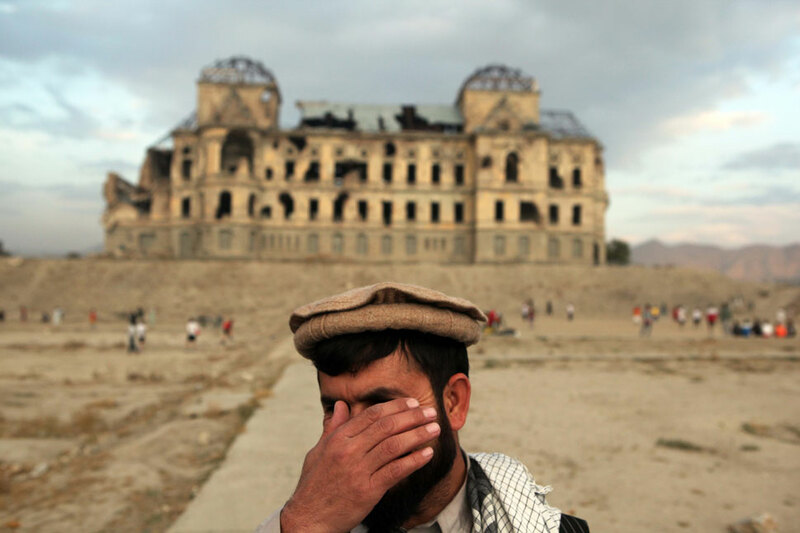 Editor’s note: The Taliban claimed responsibility for a bomb attack in Kabul near the landmark Darulaman Palace on October 29, 2011. Seventeen people were killed when a suicide bomber rammed a vehicle loaded with explosives into an armored NATO vehicle on a busy Darulaman street. It was one of three deadly attacks in Afghanistan that day. When I woke up that morning, October 29, 2011, I had new plans and new wishes. I had worked through the night on my assignments and I was excited to get to school. I had written a to-do list for the day. Yet, we don’t really know about the next minutes of our lives. How can we plan for the whole day? I went to the university. We were gathered in the library to study when a big, terrible sound shocked everyone. Then the warning alarm rang and everyone ran out in the yard. Was this a bomb explosion? We’d never experienced this. But we didn’t know until we saw the big plume of smoke coming up from behind the university. Girls were crying. Some of the boys stood there shocked. It was a bomb on a Saturday morning near the Darulaman Palace, killing American troops and Afghan men, women and children. Everyone’s phones started ringing. My phone rang; it was my father and mother asking if I was safe. Nowhere in the Quran is it mentioned that you can kill innocent people and still be called Muslim just by praying five times a day. If the people destroy people’s lives, they can’t be called Muslim. I wonder what do Taliban receive by killing innocent people and destroying people’s future? Is it really mentioned in Islam that we can kill? Taliban are not really Muslim. Taliban should not be called human when they kill innocent people. I call them despotic. Standing in a corner of the yard I was shocked. I was hurting for the people killed. The parents killed in the bomb didn’t know it was the last morning they would see their children. The children had dreams for their future; they didn’t know their dreams would perish in a bomb and their lives would blow away like smoke. The children might have been waiting for the coming Eid to celebrate with their families. Their families would be waiting for them at home. As an Afghan woman and a student how can I hope for our future when I start every morning with fear? We come out of our homes and don’t know if we will be back that evening. I have almost achieved my goal to complete my university education. I will complete it. Do I dare to hope for a future in my country? Dear Gullafroz: I am so sorry that you had to experience this, and that these families have suffered this pain and loss. When we are far from the bombs and only read about them in the paper, they can seem so abstract. But you made it real for us. Thank you for this. I hope that you will always dare to hope. You have so much to be hopeful for! Please keep up this excellent work. This was a very moving piece, it really touched me. I cannot even imagine having to live with that kind of fear, or having to be courageous enough to have hope under those circumstances. But you touched my heart, I really felt the emotion. I do hope you keep writing and hoping. Even though you ask the question, “As an Afghan woman and a student how can I hope for our future when I start every morning with fear?”, I don’t know anyone braver than you. You are directly confronting your fears by writing about your experiences. You have empowered yourself and others like you with the instrument of peace in your hand that is your pen. Your words are essential to creative peace in a world that is governed by fear. Thank you. You are such a brave woman! None of us know what will happen tomorrow, or next week, or next year. Should we just give up and not try to achieve our goals? NO! You express the desire to finish school. Although there are some sad situations where violent crime hurts so many, I would like to encourage you to push through those times and to stay true to your pursuit of your goals. The Muslim religion teaches peace, and the real Muslim’s know this. You are very special and brave! Here in America, we take education for granted. Our children are sent to school and some never make it because they find that they have better things to do than to go to school. But for you, you risk your life in just going to school and as I think to myself at this instant I’m not sure if I would be able to do the same. I think that I would be a coward and be afraid. I commend you and I admire you for keeping the faith and holding fast to your dreams and needs to finish school. These crimes of violence hurt people near and far. But to you I say, be encouraged. Have faith that you will be protected from hurt, harm, and danger. I am a pampered, privileged, arrogant young man from the US. This was truly a horrific incident, and I could never imagine what it was like. For me, the tension felt when i might not do well on a school assignment is overwhelming. I can’t think what it must be like to live every day in fear. You are a brave, brave young woman, and you are far stronger than I. May peace be within your future. The news always tells us about extremists and the ones who has created all of this violence, but almost never of the innocent people caught in the crossfire. The world would be a much better place if everyone in the west read a story like yours to remind them that the fatalities are not just another number, they are real people’s lives. The only hope for real peace is if we all understand that and realize the suffering that a war like this causes. I am sorry that you must live in a place that is filled with fear. With women like you in your country there will always be hope. You will make a difference. Thank you for sharing your world, your thoughts, fears, and dreams with others. It challenges me to awaken from my apathy and make a difference too. Wow, thank you for sharing this story. I cannot imagine the feelings of fear and despair that you must have felt. You’re bravery is astounding, having to wake up every morning in fear. I could really feel your hurt and compassion for those who were killed. It breaks my heart that people hear stories like this and automatically assume that all Muslims are out to kill people, which is completely not true. “We come out of our homes and don’t know if we will be back that evening.” This is sad. I have the same feeling. P.S. I wasn’t at university that day. Your situation is truly terrifying. You are strong for living with this inequality and violence. It is disturbing to know that people believe violence and dehumanization will help advance the society, when it is the exact opposite. It’s not fair for people to get hurt, especially when they have yet to live their lives.